The term, ‘study smarter, not harder’, has become a new age motto. It aims to motivate students to achieve greater results with simple rules that help to eliminate large amounts of unnecessary study time. The term originates from Kevin Paul’s, Study Smarter, Not Harder handbook. Additional tips, believed to make study time even more constructive, are now freely shared by both students and professionals. Although the term sounds catchy, it often leaves students feeling a little confused. How exactly does one study smarter? What does ‘smart studying’ even mean? The trick to smart studying is to realise that everyone is smart, but in different ways. Once you figure out what you are good at and what study methods work for you, you will be that much closer to reaching your goals. Howard Gardner’s theory of intelligence explains that there are eight types of intelligence, including people who are picture smart, music smart and people smart. Read this article for more study tips to suit your intelligence level. This means knowing your concentration level, your concentration span and peak studying time. Your concentration level is how much focus you can devote to studying at any point in time, your concentration span is how long you can concentrate for, and your peak studying time is when your mind is most receptive for taking in information. If you have a high concentration span but only for short periods of time, you need to study the most important course work when you are at your peak study time. Figuring out your peak time and concentration span and level may involve a little experimenting, but knowing these three factors will allow you to absorb information in the most efficient manner. Start by noting the time of day, while paying attention to your energy levels and interest in studying. Remember that different subjects require different learning methods; however the key with each one is to practice, practice and practice some more. Let’s face it: cramming just does not work! A study timetable is one of the most effective tools you can use. It will allow you not only to view how much work you have to do before the exam, but also to gauge what areas need more attention. Draw up a calendar with the dates leading up to your exam. Then split up different sections of preparation into the calendar so that you are covering the required work until the exam day. Also list the areas you need to focus on the most within specific chapters. Always leave the last two days before the exam for revision. Don’t forget to allocate time for breaks and exercise, and make sure that your timetable is realistic! Whether you need to watch a motivational video on YouTube, read an autobiography of someone you admire or simply have a conversation with your parents, remaining motivated through your studies will allow you to keep your energy levels high and enable you to put more effort into your work. Getting motivated also means that you need to think positively and not doubt yourself. Don’t underestimate the power of flashcards! Once you have covered the work, write down the key points relating to a section on a flashcard. Then stand in front of a mirror and recite the main points (with key notes) to yourself. Why not take things a step further? Walk around the room and pretend that you are a lecturer presenting a class on the subject. It may sound silly, but once you get into it, you will be able to convey and explain the information more confidently – both on paper and when discussing the subject matter with other people. Memorisation isn’t the key to success. The key to success is understanding the work and being able to explain it in your own terms and even adding your own views to it. It might not be your ‘thing’, but if you feel like crashing, just 30 minutes of exercise will help you relax, build concentration and get you into the right mindset again. If you find that exercise is not for you, why not change your surroundings for a bit? The purpose here is to give your mind a break and recharge your batteries. A small warning however: the term ‘break’ does not mean that it is time for procrastination! 7. Remember the importance of sleep! Sleep allows our minds to be alert and our bodies to function optimally. When you sleep, your brain absorbs information and files it safely in ‘storage boxes’. If you feel overwhelmed, or believe that your brain is filled to the brim, you should stop studying. Have a 20 minute power nap, wake up and believe that you can tackle those hard equations or recite the theory that you previously read through. Remember to develop a healthy sleeping pattern long before the exam period begins, and not just the night before an exam. This way, your body can adjust gradually, so that you can wake up early and get your mind to work – and ready for the exam. Lastly, make sure that you are studying something that you are actually interested in. Read this article for guidelines on choosing the right course. 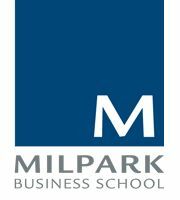 Milpark Business School is a private, registered provider of Higher Education (HE) and Further Education and Training (FET) qualifications. The qualifications offered focus on the niche areas of management and leadership, banking and financial planning, and insurance. Milpark has two campuses in Johannesburg and Cape Town and an office in Durban. Visit www.milpark.ac.za for information about the school, its courses and qualifications.